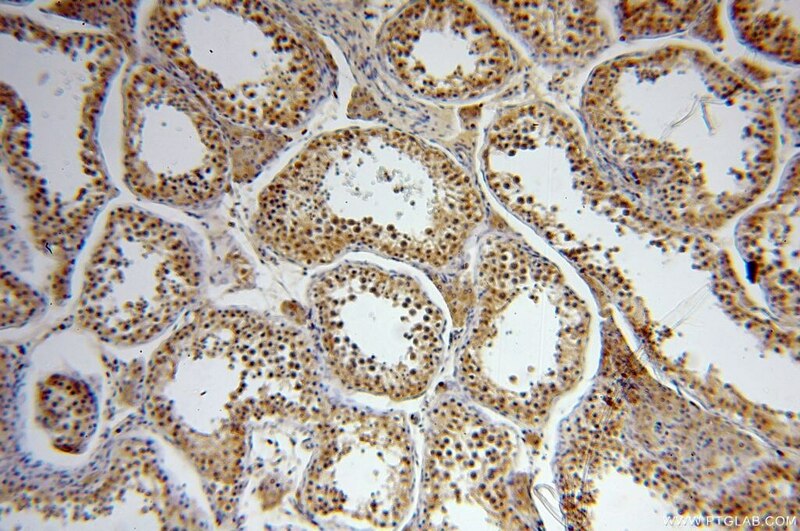 Immunohistochemical analysis of paraffin-embedded human ovary tumor tissue slide using 10336-1-AP( PAX8 Antibody) at dilution of 1:1200 (under 10x lens). heat mediated antigen retrieved with Tris-EDTA buffer(pH9). 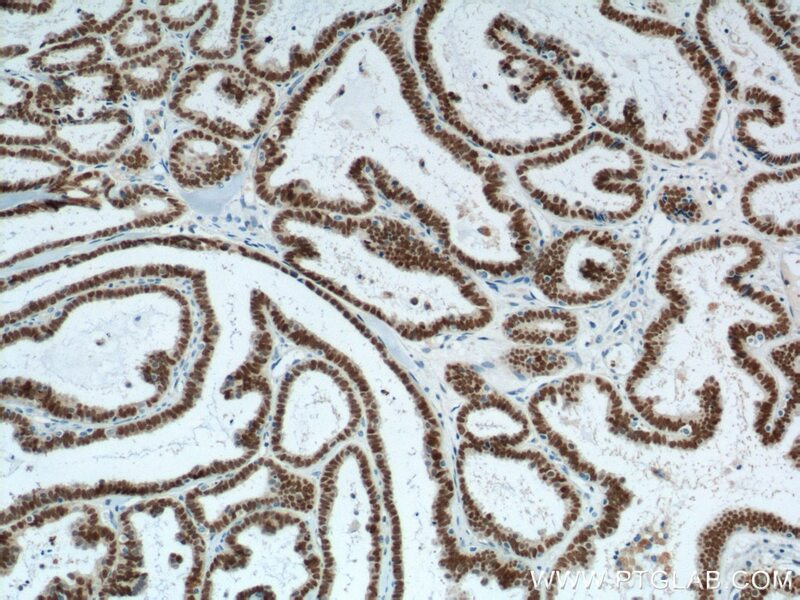 Immunohistochemical analysis of paraffin-embedded human ovary tumor tissue slide using 10336-1-AP( PAX8 Antibody) at dilution of 1:1200 (under 40x lens). heat mediated antigen retrieved with Tris-EDTA buffer(pH9). 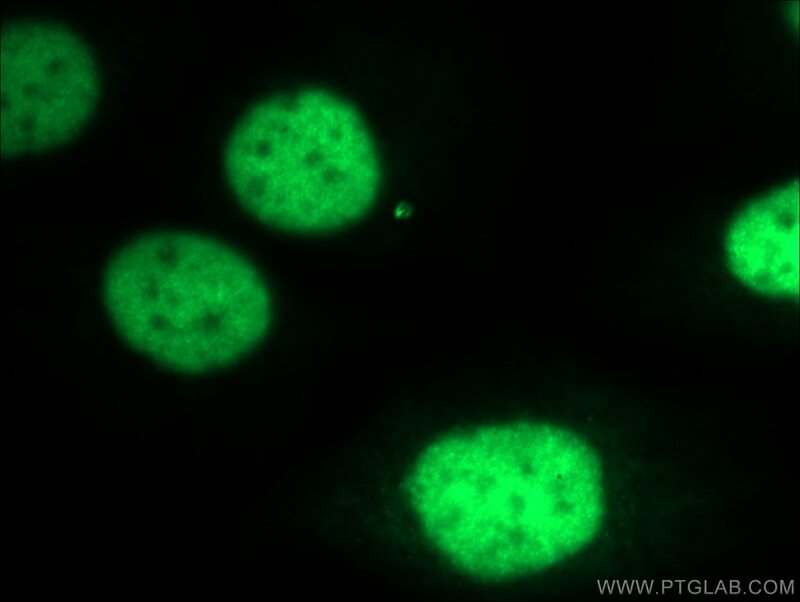 1X10^6 HeLa cells were stained with 0.2ug PAX8 antibody (10336-1-AP, red) and control antibody (blue). Fixed with 90% MeOH blocked with 3% BSA (30 min). Alexa Fluor 488-conjugated AffiniPure Goat Anti-Rabbit IgG(H+L) with dilution 1:1000. 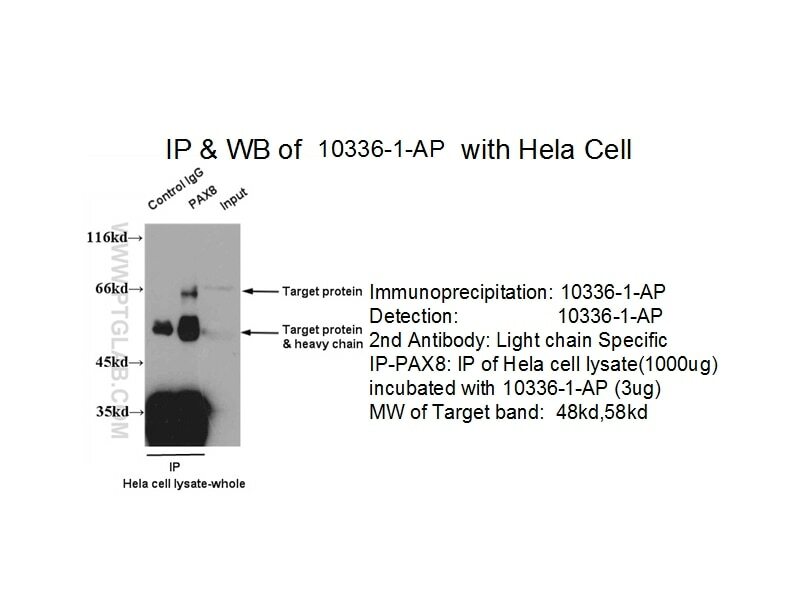 IP result of anti-PAX8 (10336-1-AP for IP and Detection) with Hela cell. PAX8 is a member of the paired box (PAX) family of transcription factors, typically containing a paired box domain and a paired-type homeodomain. It is expressed during organogenesis of the thyroid gland, kidney and Mullerian system. 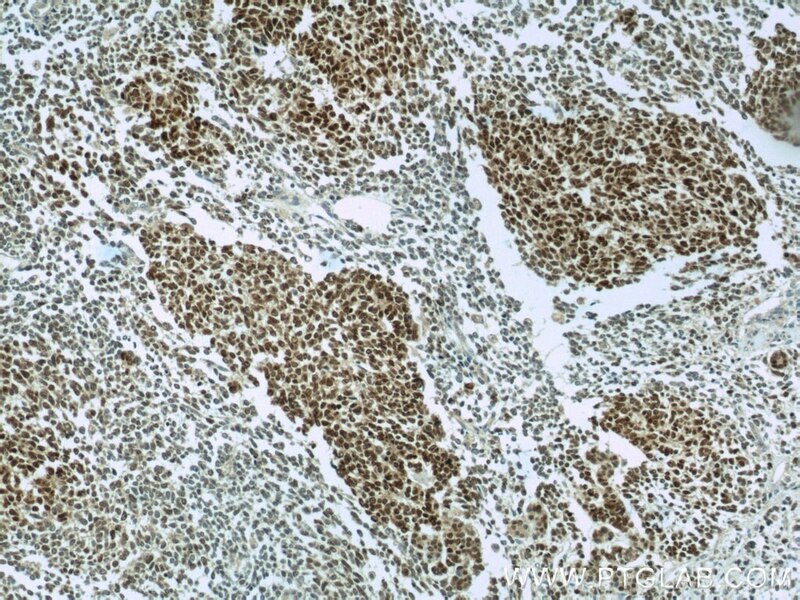 It is thought to regulate the expression of Wilms tumor suppressor (WT1) gene and mutations in PAX8 have been associated with Wilms tumor cells, thyroid and ovarian carcinomas. 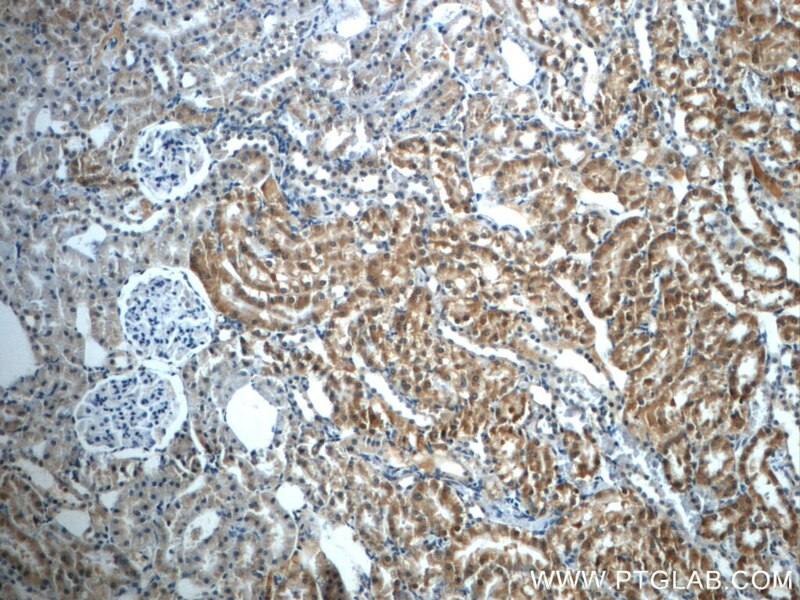 PAX8 is a useful marker in distinguishing ovarian carcinomas from mammary carcinomas (PMID: 18724243). 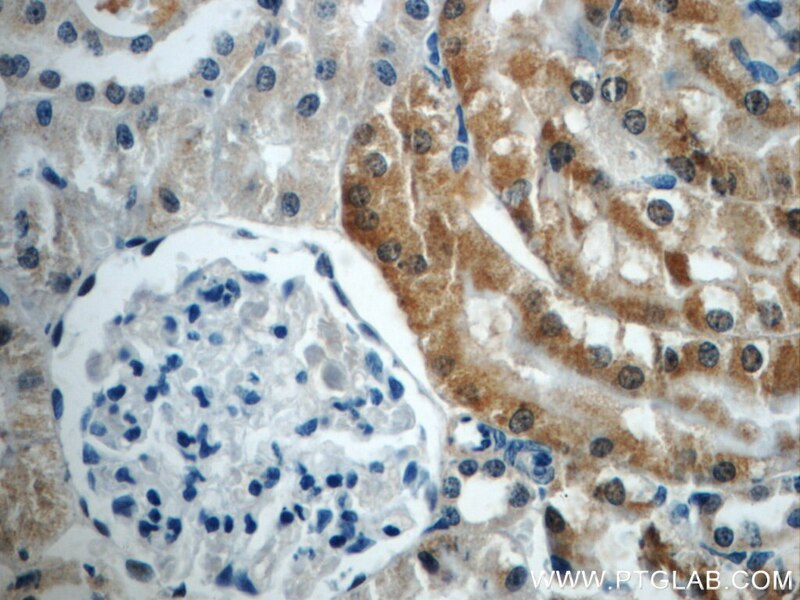 PAX8 is expressed in a high percentage of ovarian serous, endometrioid, and clear cell carcinomas, but only rarely in primary ovarian mucinous adenocarcinomas. 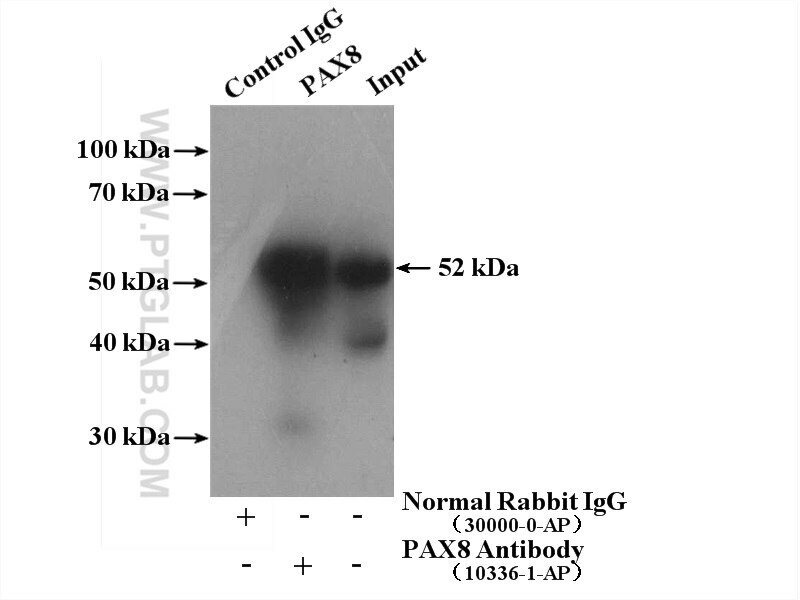 This antibody can detect all 5 isoforms of PAX8 (31 kDa, 34 kDa, 41 kDa, 43 kDa, and 48 kDa). A 58-60 kDa form has also been reported (PMID:15650356, 1049952). 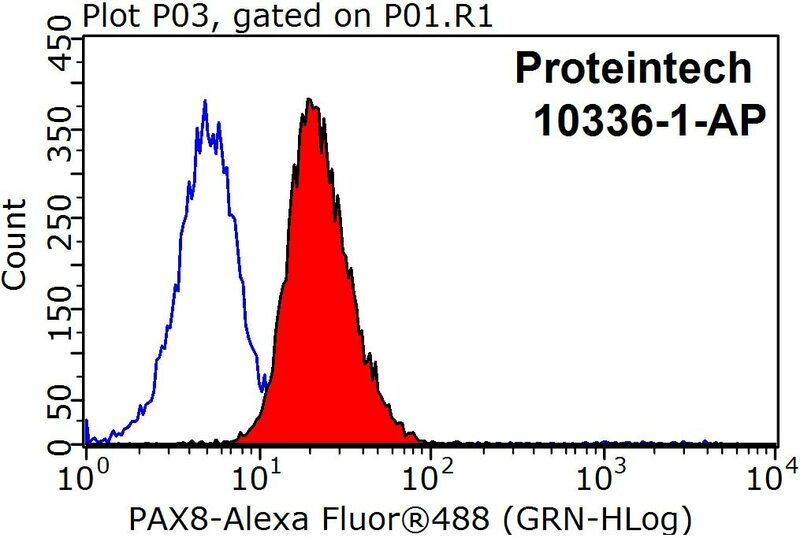 Proteintech’s 10336-1-AP antibody has cross-reactivities with the other PAX family members. 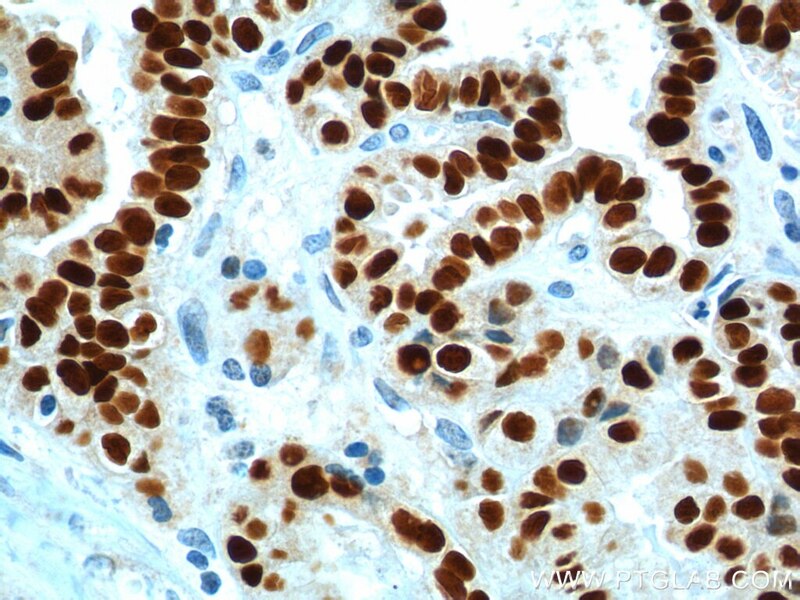 So far only try the antibody for IHC on mouse tissue. Works pretty good. Would like to try it on human tissue/cell lines. Used to perform ChIP-seq in ccRCC cell lines. 17.5ug of antibody used in 100million cells. IP was validated by WB. Sequencing detected PAX8 binding genome wide. Motif analysis identified the consensus PAX8 binding motif in approximately 90% of detected peaks. Would be great if Proteintech would produce a more concentrated version of this antibody for ChIP-seq. 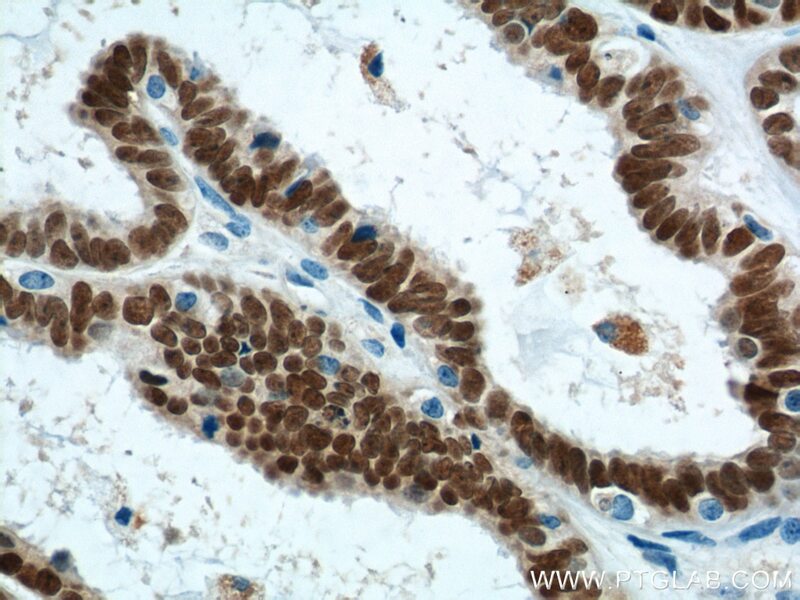 Loss of PAX8 in high-grade serous ovarian cancer reduces cell survival despite unique modes of action in the fallopian tube and ovarian surface epithelium. PAX8 expression is associated with SHH/WNT subtypes, desmoplastic histology and patient survival in human medulloblastomas. Generation of Alveolar Epithelial Spheroids via Isolated Progenitor Cells from Human Pluripotent Stem Cells. 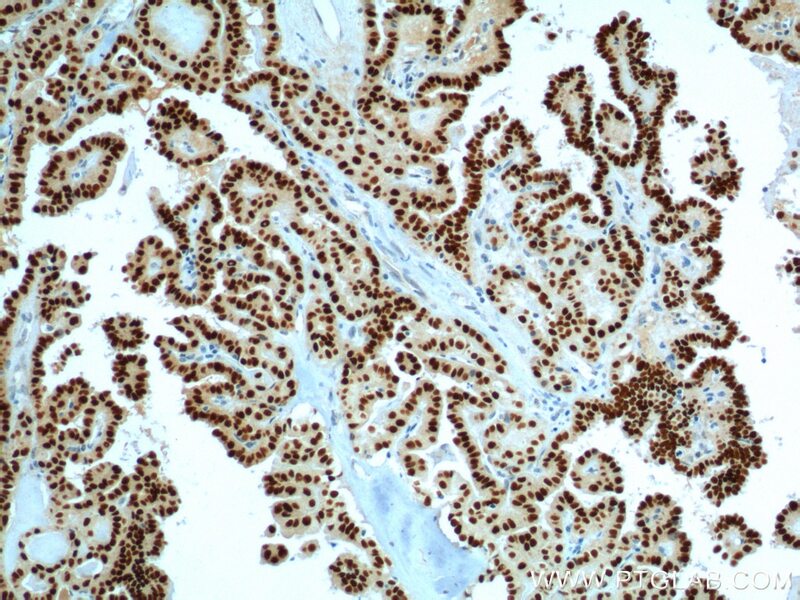 Ovarian Brenner tumors and Walthard nests: a histologic and immunohistochemical study. 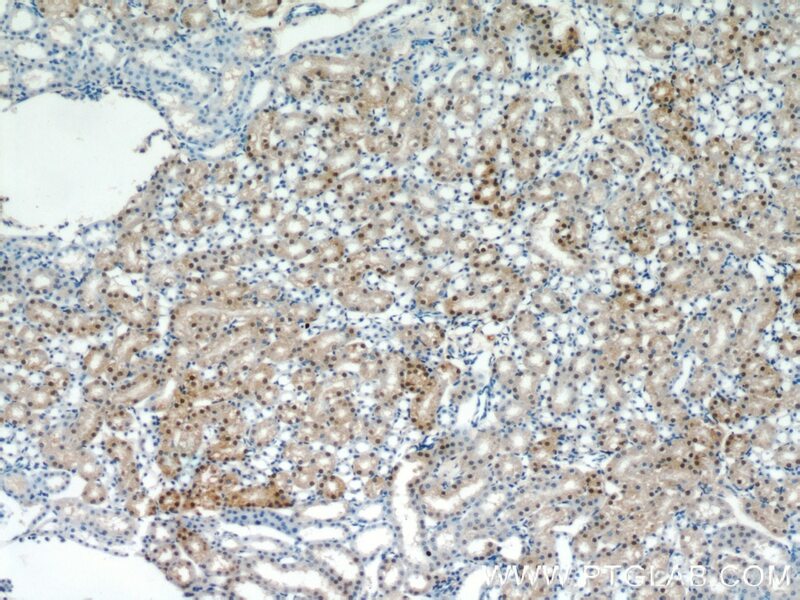 Immunohistochemical Distinction of Renal Cell Carcinoma from Other Carcinomas With Clear-Cell Histomorphology: Utility of CD10 and CA-125 in Addition to PAX-2, PAX-8, RCCma, and Adipophilin. Effect of the RET Inhibitor Vandetanib in a Patient With RET Fusion-Positive Metastatic Non-Small-Cell Lung Cancer. 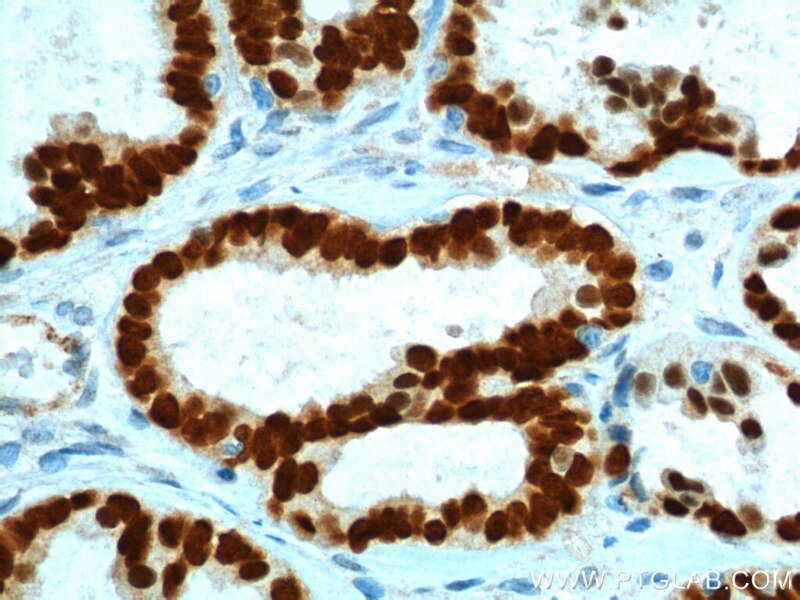 Immunohistochemical analysis of paraffin-embedded human ovary tumor tissue slide using 10336-1-AP( PAX8 Antibody) at dilution of 1:200 (under 10x lens). heat mediated antigen retrieved with Tris-EDTA buffer(pH9). 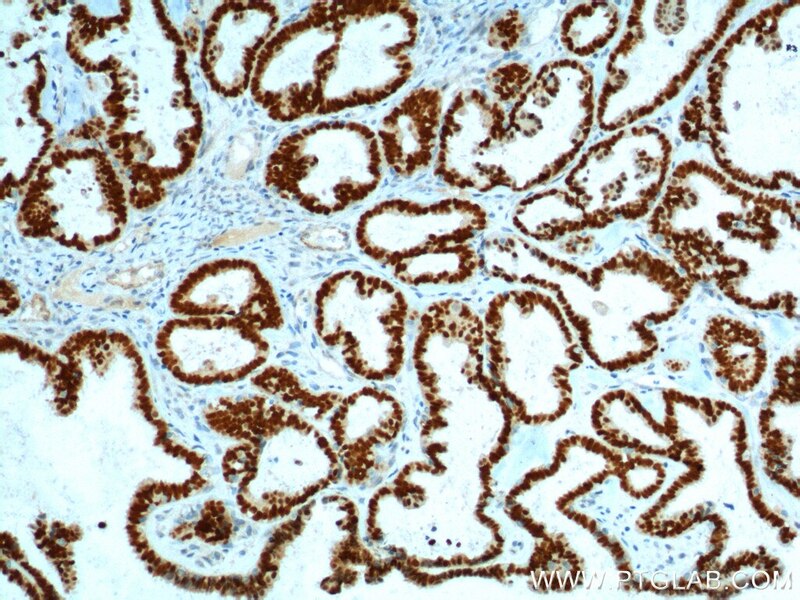 Immunohistochemical analysis of paraffin-embedded human ovary tumor tissue slide using 10336-1-AP( PAX8 Antibody) at dilution of 1:200 (under 40x lens). heat mediated antigen retrieved with Tris-EDTA buffer(pH9). 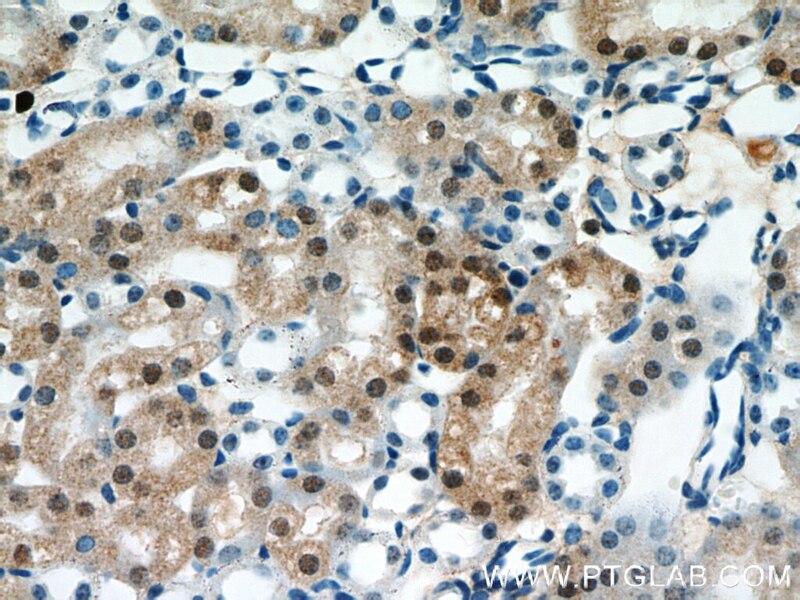 Immunohistochemical analysis of paraffin-embedded human thyroid cancer tissue slide using 10336-1-AP( PAX8 Antibody) at dilution of 1:200 (under 10x lens). heat mediated antigen retrieved with Tris-EDTA buffer(pH9). 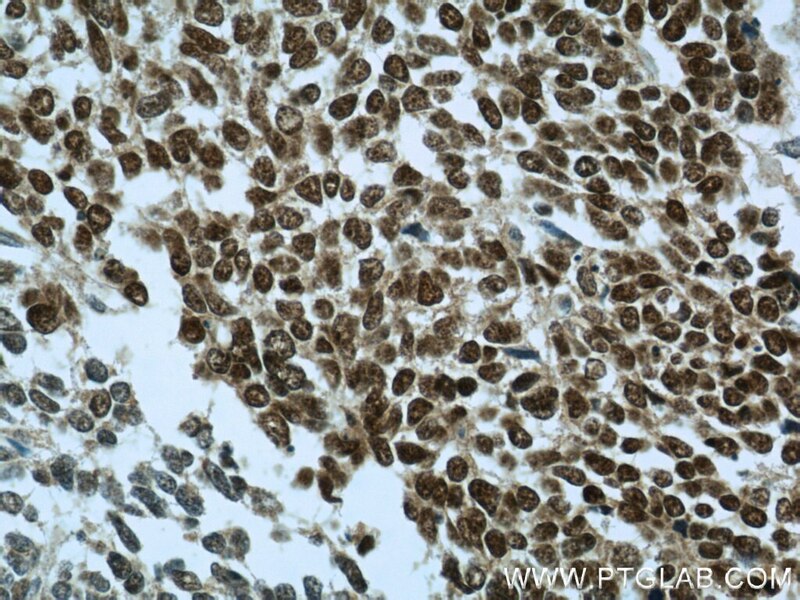 Immunohistochemical analysis of paraffin-embedded human thyroid cancer tissue slide using 10336-1-AP( PAX8 Antibody) at dilution of 1:200 (under 40x lens). heat mediated antigen retrieved with Tris-EDTA buffer(pH9). 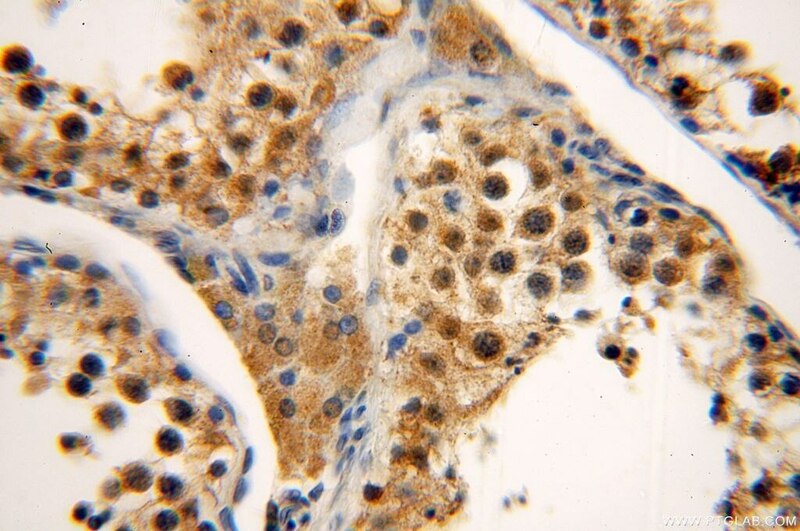 IP Result of anti-PAX8 (IP:10336-1-AP, 4ug; Detection:10336-1-AP 1:1000) with SKOV-3 cells lysate 2800ug.